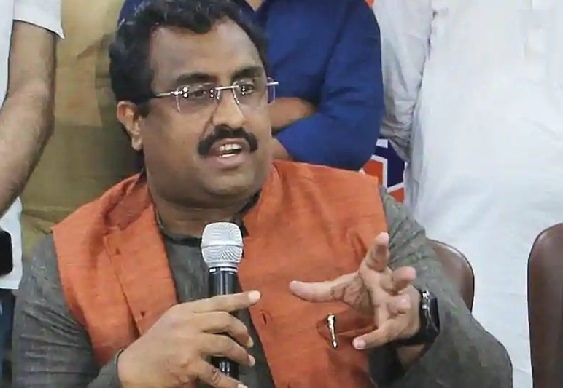 New Delhi, Jan 14: Responding to Shiv Sena Chief Uddhav Thackeray’s criticism on Ram Mandir, BJP National General Secretary Ram Madhav said that BJP government is committed to Ram Temple. Speaking to the media, the senior BJP leader stated that BJP under the leadership of Prime Minister Narendra Modi will take every possible legal major for building a grand Ram Temple in Ayodhya. As reported by ANI, reiterating PM Modi’s stand on Ram Temple, Madhav accused Congress of creating hurdles in the legal process. Earlier, addressing the party workers, Shiv Sena Chief Uddhav Thackeray dubbed Ram Mandir as a part of BJP's "Jumla" politics to garner votes. He also blamed Prime Minister Modi for not addressing the long pending demand.